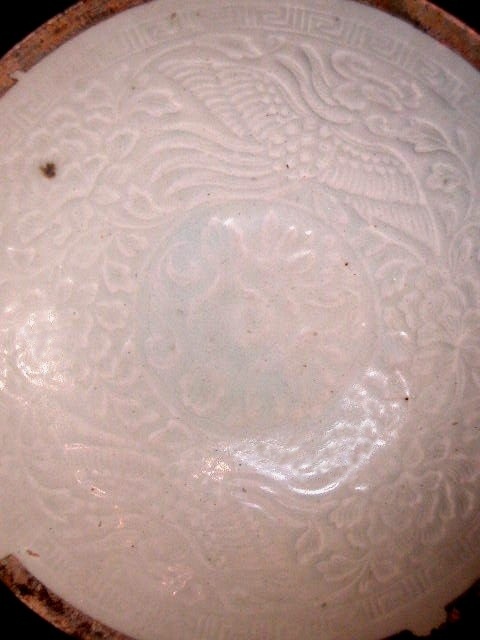 Close up of view of inside pattern of a Qingbai shallow bowl molded with two flying phoenixes, peonies, foliage design and silver rim. Song Dynasty (AD960 -1279). D. 7 in (17.8 cm).